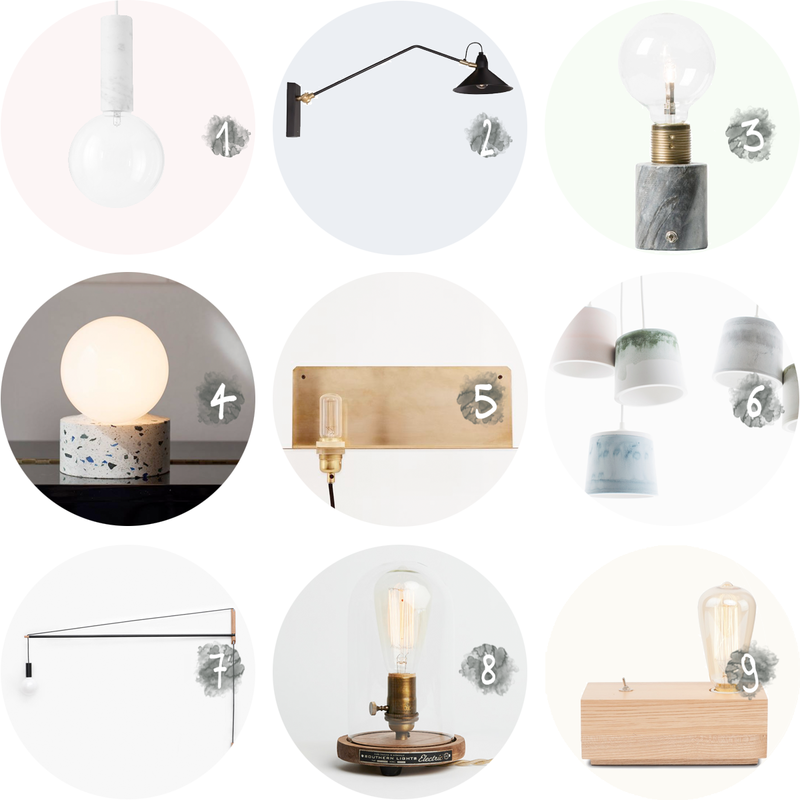 Marble light pendant – SV5 by andTradition, get it here. Dutchbone‘s Patt wall lamp, buy it here. Sten table lamp by Swedish brand Watt & Veke in marble black. See more here. Terrazzo edition of the Litho table lamp by Vormen in collaboration with Atelier Concreet and Peter Vromman. Every edition will have a different kind of stone for a base and will only exist of 10 copies. Find more info here. 90° wall lamp by Frama in brass, order it here. Unique rainbow shades by Julien Renault. Unfortunately sold out here. Crane light by Andrew Neyer Design. Purchase it here. Bell jar table lamp by SouthernLightsTN. Find it here. Kobe table lamp by Dutch brand it’s about Romi. Get your hands on it here.